"Today I want to discuss about some hidden and unique features, storage capacity, daily image uploading limit and past history of some best photo sharing websites those are available for us for sharing, editing and storing images/photos on the web.These helps us for saving disk space in our computer"
There are lots of online picture gallery sharing websites present in the market like Google Plus, Facebook and many more, which will keep your uploaded images in organized way with shareable modes. Flickr is an image hosting and video hosting website, web services suite, and online community with excellent user interface was created by Ludicorp in 2004 and acquired by Yahoo! in 2005. 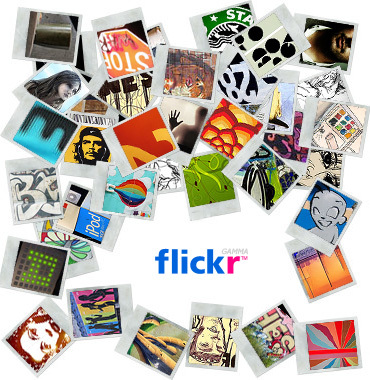 In June 2011 that Flickr had a total of 51 million registered members and 80 million unique visitors. This is one of the most popular online photo sharing tool form Yahoo which is available in both online and offline version. Flickr limits you to 100 MB of uploads each calendar month. That can be frustrating if you want to upload your entire back catalog, but it allows steady portfolio growth. However, only the 200 most recent images will be displayed on your Flickr page. 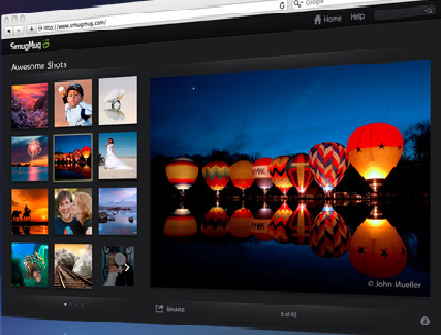 Photobucket is an online image hosting, video hosting, slideshow creation and photo sharing website. It was founded in 2003 by Alex Welch and Darren Crystal and received funding from Trinity Ventures. It is acquired by Fox Interactive Media in 2007. 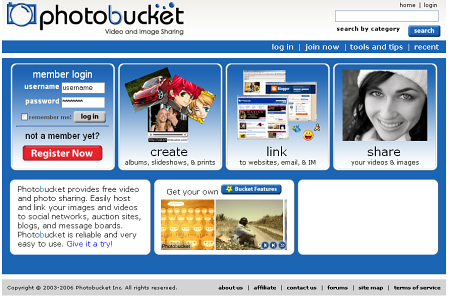 Photobucket is a popular photo sharing site for online community forums. It offers free 1GB of storage and up to 25GB of monthly bandwith. You’ve also get up to 10 custom URLS for your photo albums. Picasa is an online image organizer and image viewer for organizing and editing digital photos, plus an integrated photo-sharing website, originally created by a company named Lifescape (which at that time may have resided at Idea lab) in 2002 and owned by Google since 2004. Picasa is a blend of the name of Spanish painter Pablo Picasso, the phrase mi casa for "my house", and "pic" for pictures.One of the most attractive feature of this online image-sharing website is you can choose whether to share the photos with others or not by setting up your privacy level, besides sharing using links and editing online. Picasa Web Album is a robust photo sharing and uploading site. Picasa Web Albums offers free 1GB of storage, a robuts photo search engine, photo tagging, and a companion desktop photo organization tool. SmugMug was launched in November 2002 by Chris MacAskill. This online picture sharing website allows you to change colors, layout, fonts and graphics with the options to purchase some professional and personalized gifts like photo books, albums, frame outs, printed objects and many more. This comes in three different levels, free subscribers, and premium subscribers who can opt in for one of the two available options, which gives them the cutting edge also uploading your photos into social media websites directly. Kodak Gallery offers online photo sharing, Kodak prints and photo gifts from consumer digital photos. Its features allow you to view pictures on your mobile phone. The service was originally called Ofoto and was acquired by Kodak in 2001 and renamed Kodak Easy Share Gallery in 2005. It is currently referred to simply as KodakGallery. They have over 60 million users and billions of images as of 2008. Some of the highlighted features of this website are the ability to create photo products like calendar, prints, frames, cards, photo books and much more. Besides, the presence of a unique photo-editing tool will help you to make this much easier to upload, organize and share your photos. 23 is the visual sharing company. Their products are helping individuals, groups, businesses and institutions to act visually in more than 200 countries across the globe on a daily basis. They provides centralized online photo-sharing website, which works by giving you the capacity to organize, share and place order for hard copies of the chosen photos. Besides, some of the other important and useful tools that this website shares are bulk uploading, ability to email photos in batches and use customized album colors, all of which allows you to manage your photo collections efficiently, and what is more interesting about this online image sharing website is that you will be able to comment on the photos. Unlimited storage, easy drag and drop organizing, and editing tools make Shutterfly a good choice. However, the actual photo sharing is frustrating. The community section allows you to browse slideshows, but not individual photos. You can only comment on the entire slideshow. Even though there is no limit to the photo size that you can upload, it will be reduced and you will not be able to access the original file size. 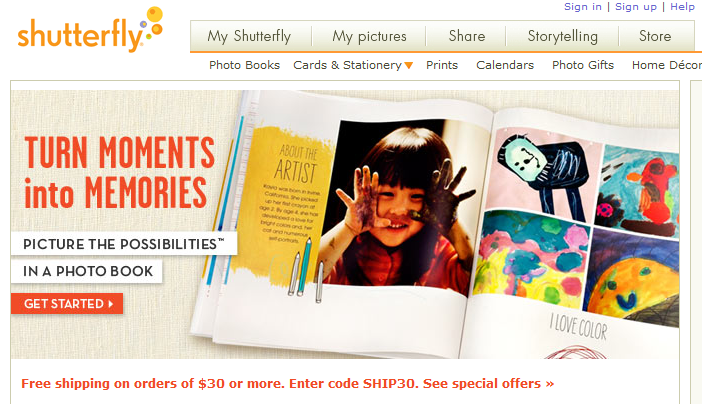 Limitation: Shutterfly has no features for creating links to a picture from another website. Zooomr is a very robust and feature-rich photo sharing site, but it lacks the appeal and charisma of Flickr to users. And last time I checked, Zooomr has removed the storage limit for free accounts, so you can upload as much photos as you want. * Have the Ability to create your own photo albums (both private and public) and share them to your friends with a link on our own username. This is very useful blog... thanks.